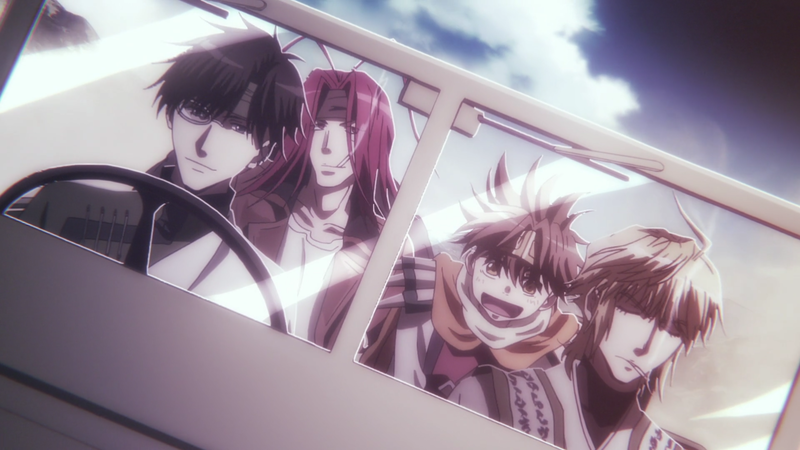 After being off the air for nearly 13 years, Saiyuki has at last returned to grace our televisions with attractive men beating the crap out of each other while waxing poetic about their dark-and-stormy pasts. But with Saiyuki‘s previous anime seasons scarce and its manga volumes even scarcer, you might be hesitant to check out the new series. Well, fear not! I, an ardent Saiyuki fan who read the manga as it was coming out almost 10 years ago, am here to provide you with the story exactly as I remember it. Which is to say: Very vaguely! Now you, too, can enjoy Saiyuki Reload Blast as if you were right there with the rest of the fandom, reading the manga in the mid ’00s, selling the volumes to help pay for grad school, and now racking your brain to piece together the semi-existent plot of that gloriously feelsy action series you still love so very, very much. Come along with me on this journey, won’t you? This journey…TO THE MAX! Caution: Loving irreverence, questionable accuracy, and spoilers for the Saiyuki and Saiyuki Reload manga below. Content warning for mentions of child abuse. Click here for the full post on Crunchyroll! Did you know? Have you heard? 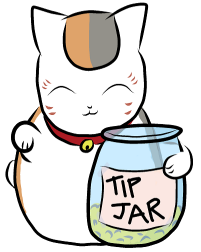 The Josei Next Door has a tip jar!